Goodwell, Okla. — A recent article published by Best Medical Degrees and written by Susan Kemppainen ranked Oklahoma Panhandle State University’s RN to BSN program 18th in the nation in terms of best value for an online nursing program. As of Fall 2018, the Panhandle State School of Agriculture, Science, and Nursing was responsible for 43 percent of the university’s total enrollment, a figure that can be contributed in large part to the Nursing program. The fall semester also claimed the largest number of students to graduate from the program totaling 51 bringing the program’s total number of graduates to nearly 450. There are currently 154 students enrolled in the program. With an estimated half million nurses retiring from the profession, the Bureau of Labor Statistics has projected nearly 2,955,200 million nurses will be needed between 2016-26 to meet the need for nurses and this is exactly where Panhandle State’s RN to BSN program comes in to the picture. Training the leaders of tomorrow, Panhandle State’s RN to BSN program is a stair step to the next level with the value it can add to one’s career. According to the U.S. Bureau of Labor Statistics, the salary range for a BSN is estimated between $60,300-$75,900 with a median salary of $70,000. BSN trained nurses are expected to see a rapid job growth rate of 15 percent. 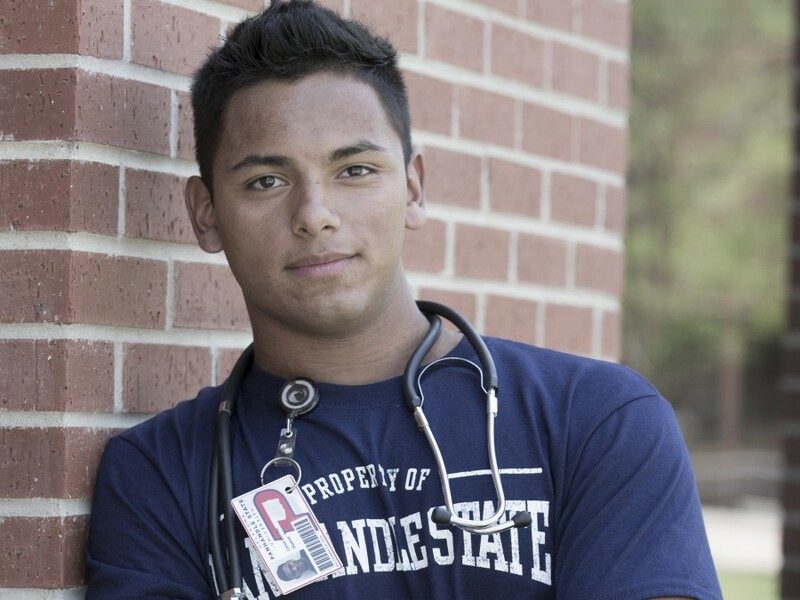 The RN to BSN program at Panhandle State provides students the potential to go to grad school and become nurse managers and practitioners as well as the ability to work in magnet status hospitals. Over half of the applicants to the program since Fall of 2018 have applied with the intention to advance their career as an RN in management or leadership positions. One of the first programs to offer a 100 percent online curriculum, the program started in the 90s and is designed to meet the needs of students across the country. With no campus attendance required. The program consists of eight BSN core classes and self-directed clinical projects can be completed in each individual’s own community. Initial program enrollment can occur in the fall, spring, or summer. With full-time and part-time options, the key to success is the program’s ability to meet the needs of each individual enrolled, allowing students the flexibility to work and raise a family while completing their degree. Faculty members provide each student with an individualized degree plan designed to meet their personal needs. Students can expect one-on-one attention from Panhandle State faculty members who are committed to helping each individual reach their personal, professional, and educational goals. Fall 2018 graduate John Karlin is among the individuals reaching their goals. Karlin recently won the Excellence in Neonatal Nursing Practice Award from the Academy of Neonatal Nursing, presented once a year to one RN at the National Neonatal Nurses, National Mother Baby Nurses & National Advance Practice Neonatal Nurses Conferences. Karlin is a Registered Nurse at OU Children’s NICU. He was nominated for the award by one of his fellow bedside RNs and is the first recipient of this award in the Great Plains Region of the North American Continent including Canada. In 2015, the program introduced the BSN Connection Scholarship allowing graduates from a scholarship-eligible college with an associate degree in Nursing an active, unrestricted RN license to apply for a scholarship that would potentially pay the difference in the cost of tuition/fees from the college they graduated from and the cost of tuition/fees at Panhandle State. Applicants must be Oklahoma residents who have been accepted into the Panhandle State RN to BSN Nursing program. It is available to students completing full or part-time study options. The scholarship would be applied for two full years of classes including summer. The Panhandle State RN to BSN Program is accredited by the Accreditation Commission for Education in Nursing (ACEN).